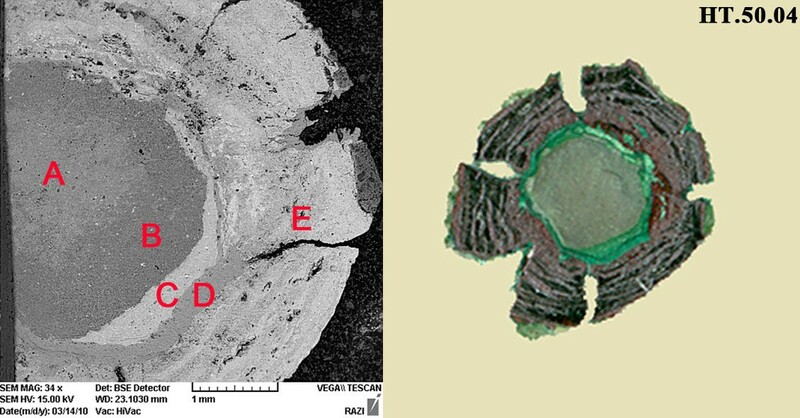 The long term burial conditions in soil causes various corrosion morphologies in archaeological metals, from a thin corrosion layer to a completely corroded and mineralized artefact [1, 2]. 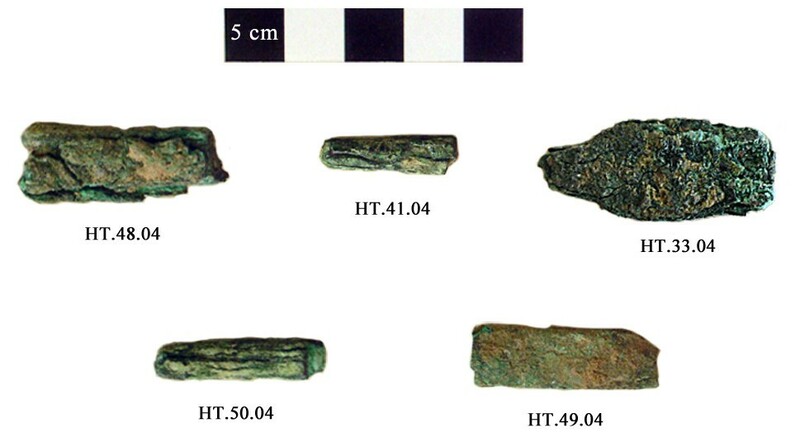 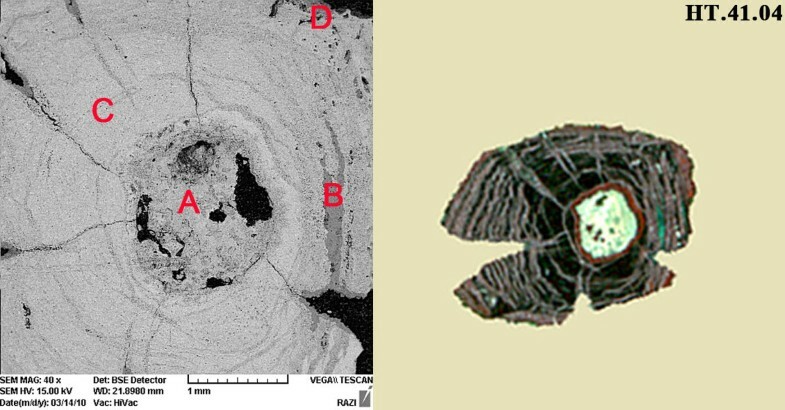 In recent years, valuable studies have been performed to characterize changes occurring in archaeological metals to understand their corrosion mechanism and morphology as well as conservation conditions [3–8]. 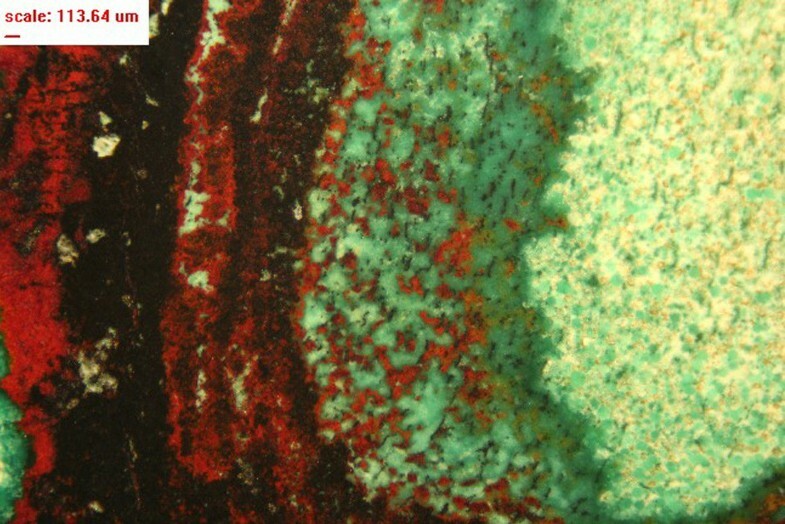 The presence of tin-rich phase in the center of samples is due to an identified process namely decuprification or selective dissolution of Cu [15–18]. It occurs because of Cu dissolution in corrosion of bronze artefacts in various environments such as soil. 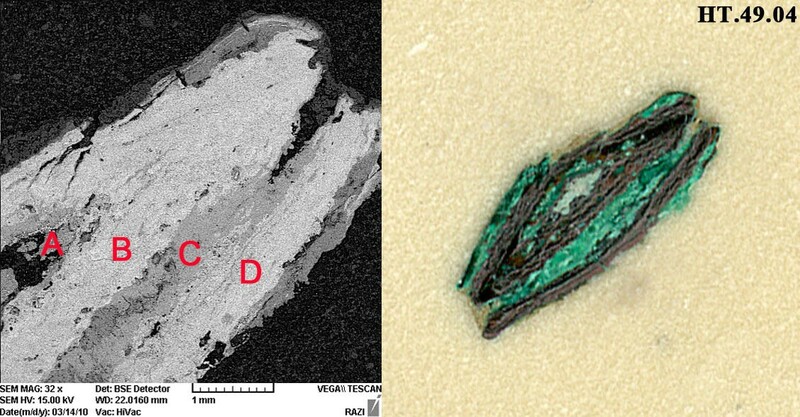 Some Cu will leach from metallic structures with internal oxidation of Sn. 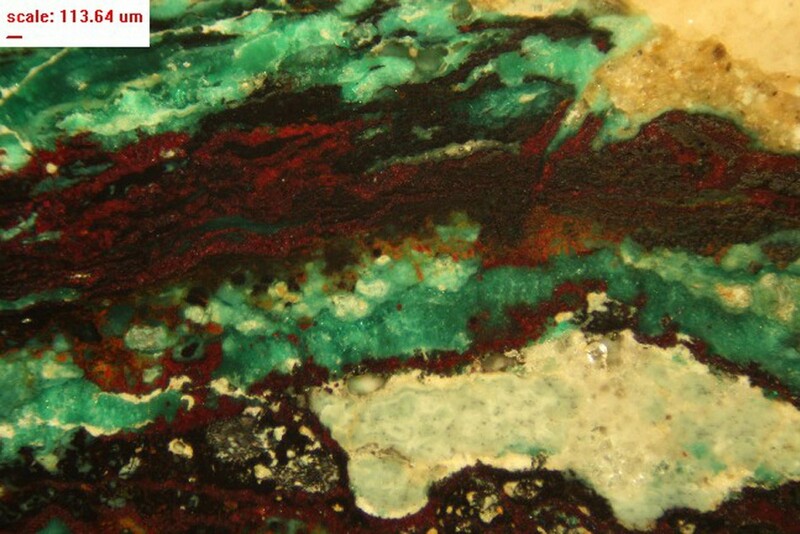 The dissolved Cu will react with soil anions such as chloride and carbonate, and will deposit in external part of the artefact or its surface. The composition of redeposited corrosion compound on the surface of artefact is related to the nature of soil soluble anions and their reactivity [15, 16]. 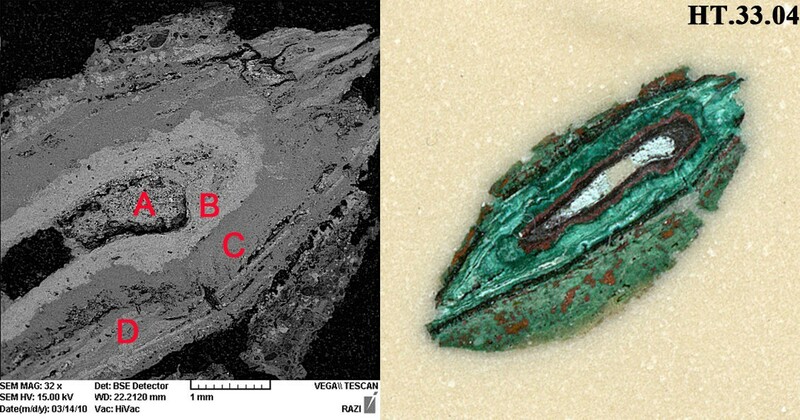 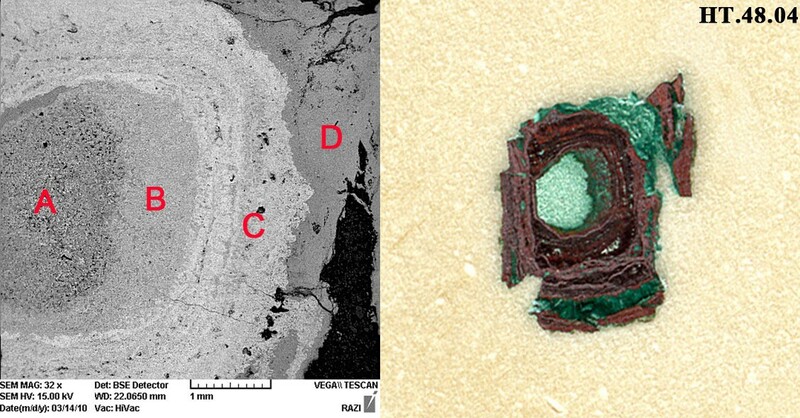 This phenomenon is the main reason of corrosion morphologies appearing in archaeological bronzes in soil [9, 15, 16]. 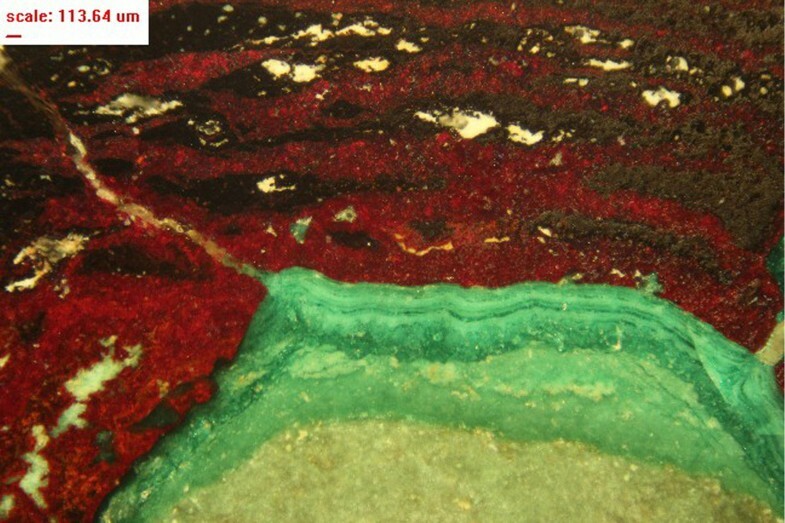 In samples studied, the dissolved Cu has reacted with Cl that has led to formation of copper trihydroxichlorides. 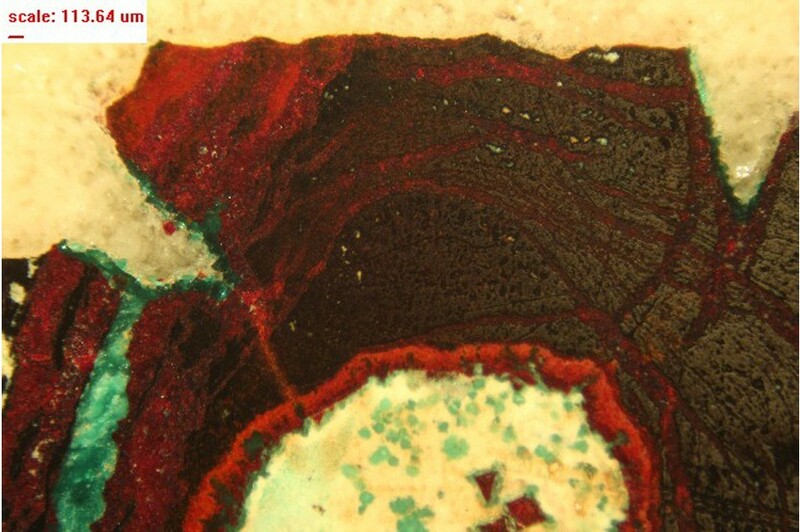 The central phase consists of SnO2 (cassiterite) with some Cu compounds such as cuprite (Cu2O) or nantokite (CuCl) . 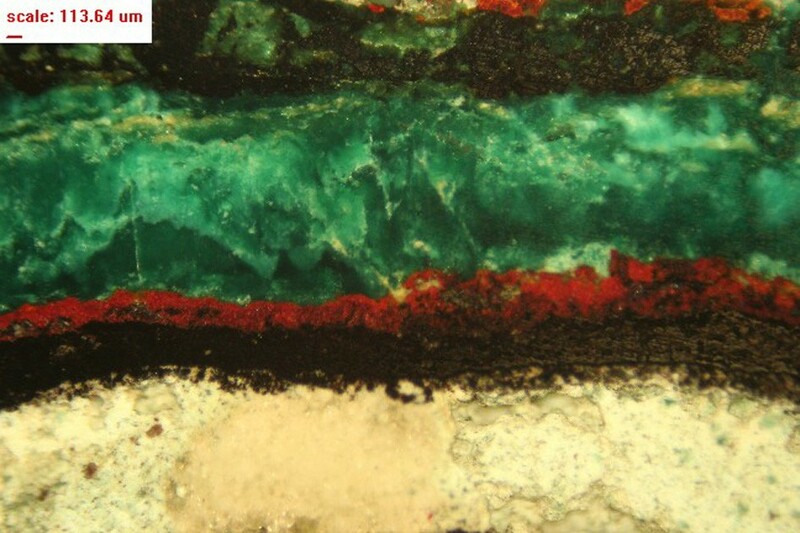 The presence of some elements such as Al, Mg, Si and S in the corrosion layers may be due to immigration from the soil to the porous corrosion layers. 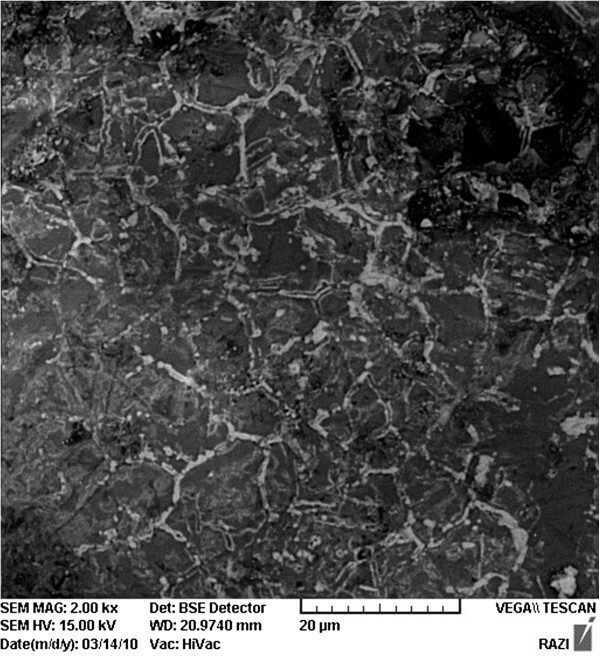 It is notable that there is no evidence of banding in the central white-grayish cassiterite layer in the five samples studied. The microstructure of the central layer (phase) shows a pseudomorphic replacement of original microstructure of the alloy such as the ghost structure of twinned and recrystallized grains in sample HT.48.04 (Figure 13) [19–21].